Home | Hair Care | Which Natural Oils Are Best For Your Hair? 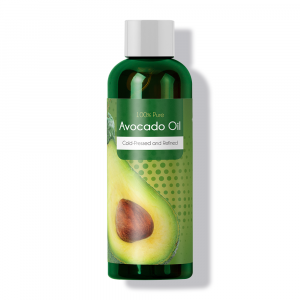 How Can Oils Help Greasy Hair? 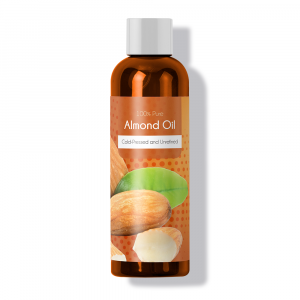 How Can Oils Help Dry Hair? When I was younger, I thought that if I washed my hair more, it would be less greasy and oily. It was a life-changing moment when I learned that’s not how it works. Our hair only produces oil when we dry it out. So, if we continuously dry it out every time we take a warm shower, it will continuously feel greasy. A vicious cycle, I know. We have to train our hair to be less greasy. You’re only meant to wash your locks every 2-3 days and not condition it as much. Many people find that their hair gets super greasy in between washes so I like to use a lot of dry shampoo just to make it through (which as a matter of a fact, works). Think about it this way. Have you ever gotten your hair professionally styled for prom or a wedding? The stylist always asks that you wash and blow dry your hair the night before. They ask that of you because they want to work on hair that is a little dirty. If they wash and dry your hair in the salon right before styling it, the style just won’t hold as well, trust me! Semi-oily and greasy hair is not such a bad thing and let me explain why! You may be wondering how applying extra oil to your hair can make it less greasy, well let me break it down for you. People who struggle with oily and greasy hair have an increased level of sebum on their scalp. The sebum is necessary to keep your hair looking and staying healthy as well as protecting it. There are many people in this world that produce more sebum than others. 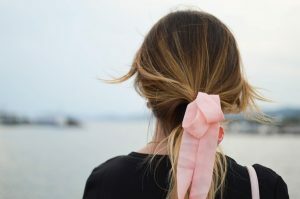 It’s definitely not a bad thing, it just means that you need to care for your hair differently than maybe your friend would. When we shower, blasting our hair with warm water and some of the usual chemicals that come in shampoo, we are unintentionally stripping our hair of its natural oils. This is why our scalp then rushes to try to produce more oil. If we apply a natural oil, like coconut oil, we are helping out our natural production by not making it work as hard. 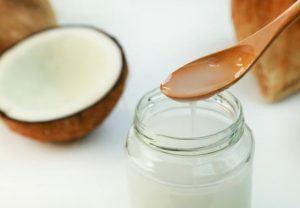 Coconut oil helps reduce protein loss in hair, it seals all the nutrients in before they are fully washed out. The same idea applies to many other oils as well. As you can see, natural oils are great for greasy hair! Can oils help dry hair? Instead of struggling with dry hair, treat it! There are many oils that are great for dry hair, such as olive oil and macadamia oil. It may sound crazy to pour olive oil in your hair but just stay with me here. It works as an excellent conditioner. 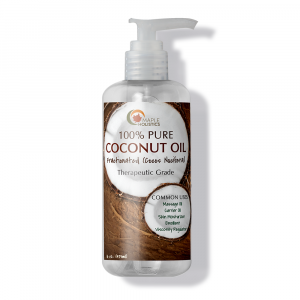 The oil not only moisturizes and prevents frizz, it also fortifies your hair and improves its elasticity. 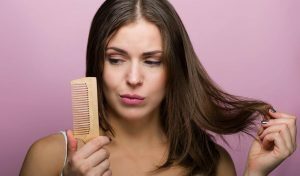 Dry hair can be caused by a plethora of things like the over-use of heat styling tools, the wrong hair care products, hair dyes, and environmental factors. I used to constantly abuse my hair with a blow dryer until I realized that I was slowly killing it. Natural oils can promote hair growth by stimulating the scalp and even help with dry ends. Choosing the right oil for your hair can be an extremely daunting task. It completely depends on your hair type and the products you regularly use. Olives hanging on an olive tree. 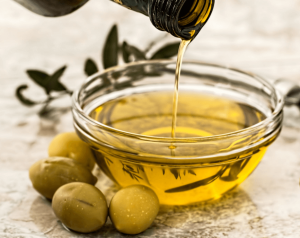 As well as being used for salad or cooking, olive oil is also amazing for your hair. 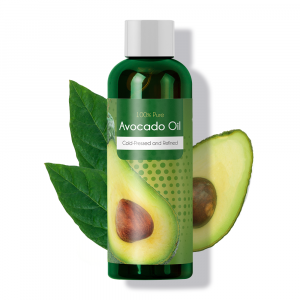 It contains amazing moisturizing properties that pair very well with your gorgeous locks. It revives your damaged hair leaving you with shinier, healthier, and stronger hair. You can evenly apply 1-2 tablespoons of olive oil to your wet or dry hair once a week. It would be best you use a shower cap or a towel to wrap it up for an hour and a half. Once you wash it out, you’re all done…no need to use conditioner. What makes this oil different from the rest is its chemical resemblance to the oil naturally produced by our scalps. This means that our scalp is more likely to accept it willingly without any side effects. 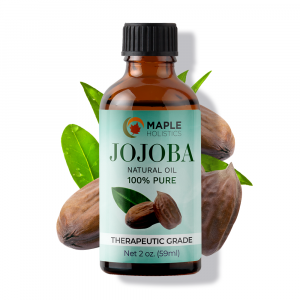 Jojoba oil treats dandruff and dry scalp problems by deeply moisturizing the hair follicle from within. You can apply this oil 30 minutes before a shower or it can be left in overnight. It can also be added to your usual conditioner or applied to the ends of your hair after a shower. 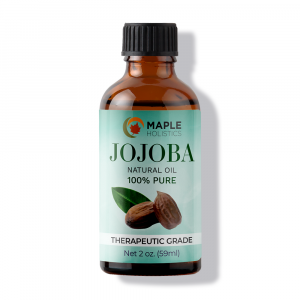 This special oil contains anti-fungal properties making it a great treatment for scalp infections or dandruff. It also contains antioxidants, which help to make hair stronger, healthier and smoother by supporting the natural growth of keratin. Castor oil is very thick which is why it should be mixed with either olive or coconut oil for an easier application. You can use the mixture to treat your scalp by applying it and then putting on a shower cap to sleep with it overnight. In the morning, you can just wash and rinse as usual. You can do this once a week, or as needed. Argan oil can help smooth your hair. 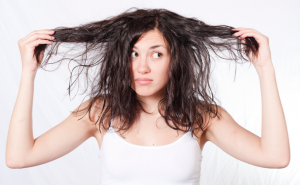 Frizziness is a lot like a slow internet connection – super annoying! 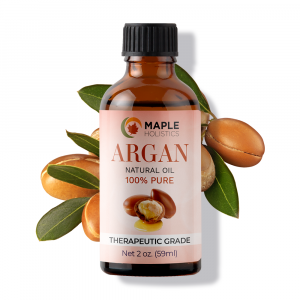 Argan oil doesn’t leave your hair that greasy which means that it can be used daily. Rub a few drops into your hands and evenly distribute it, avoiding your roots, onto your damp hair. 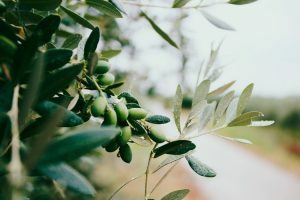 I’ve already discussed this amazing oil a little bit before but you must know more! 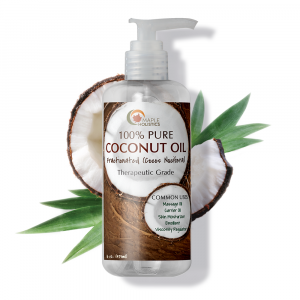 Coconut oil is packed with fatty acids allowing it to go deep into the hair quicker than regular conditioners. It can help both oily and dry hair. For oily hair, don’t apply it to your roots and scalp. If you have dry hair, feel free to rub it ‘all up in’ your scalp. Coconut oil is solid at room temperature. It, therefore, should be heated and then left to cool for about an hour before applying. Leave it in your hair for 30 minutes to an hour and rinse with a natural shampoo. Repeating this once a week will definitely leave your hair feeling and looking soft, shiny, and silky. Natural DIY oil hair masks are fantastic because they don’t contain any harsh chemicals. You know exactly what you are putting in and all over your hair. It also means that you’re less likely to have any adverse reactions. Since it’s homemade, keep in mind that it has a very short shelf life, which is why this recipe is only meant for single use. You will first need to beat together 1 egg, ½ cup of milk, a squeeze of lemon, and 2 tablespoons of olive oil. This concoction might sound gross but you’ve got to trust me on this one. Depending on your hair type, you’ll either use only the egg yolk, only the egg whites, or both. For dry hair, you’ll only use egg yolk for this recipe whereas for oily hair, use only the egg whites. Meanwhile, if you have normal hair, use the whole egg. After the mask is mixed well, massage it into your scalp making sure to work it well from your roots to hair ends. Wait about 15 minutes before rinsing it out. The mask can get a bit drippy. Use a plastic shower cap to try to contain it. It would also be best to stand over the sink or in the shower while you wait. This 15 minutes will feel like an eternity, so feel free to soak in the bath and listen to your favorite tunes while you wait. When rinsing out the mask, be sure to use cold water. If the water is too warm, it will actually cook the egg in your hair. It may take a few rinses to fully get it out. Follow up by washing your hair with a yummy fruity smelling shampoo to mask the raw eggs smell. This whole process may be a bit gross, but if you’re dedicated to making your hair beautiful, it should be done once a month. As you can see, natural oils were basically created for hair. I know that my hair is sometimes super dry or super greasy, which is why I always have to switch up my routine. Working natural hair oil into your hair regime would be extremely beneficial to you and your tresses. The oils don’t leave your skin feeling greasy or clog your pores, because they’re natural! As an extra bonus, the natural oil your hair needs is most likely sitting in your pantry, saving you both money and time. Not only do natural oils help your hair look and feel luxurious, but they can also aid in calming your nerves and de-stressing The aroma mixed with the massaging truly makes you feel like you’re at the spa. And who doesn’t want to feel like they are at the spa? 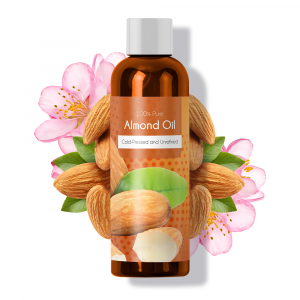 Natural oils provide us with numerous benefits and if you’re not taking advantage of them, you’re missing out. You don’t need to buy overpriced beauty products to get your dream hair, just look at what you already have in your home. Either way, I have to go now. My frizzy hair could use some Argan oil.